CONCIERGE SERVICE IS A SURPRISINGLY LOW COST SOLUTION THAT CAN MEET A VARIETY OF NEEDS OF ALL OUR TENANTS. Businesses can customize a package of concierge and errand services to enhance an employee benefit package, recognize special customers, reward staff or add value to a their company’s existing products and services. In providing more services for our tenants, Friar Professional Building has launched, expanded the concierge services it provides. A complimentary benefit, The Friar Professional Building award winning Concierge services is always available to assist with any task. This exclusive in house tenant service is a one-stop resource offering you the ultimate in convenience. From making arrangements for hiring the right employee, interviewing them, screening them, ordering necessary supply for your office, look for telephone/cable services that suits your needs, advertise your business and services, PR, make all business pleasure travel arrangement from air, cars, hotels, food, to an in office massage, to reservations at a hot new restaurant in town, and nearly everything in between, The Friar Building Concierge services will take care of many of our business owner’s life details for them. 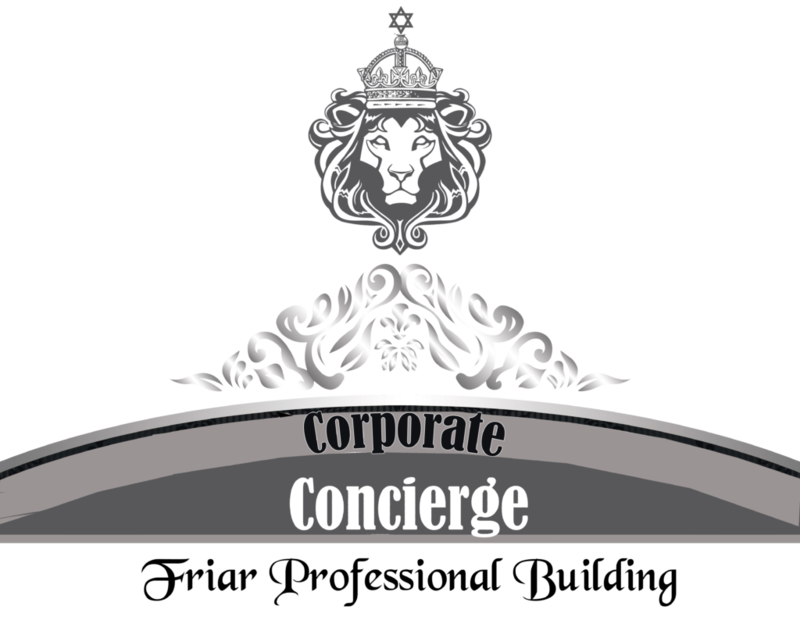 Our parent company concierge services in New York City provides concierge, personal assistant and event planning services to all their Class A office building’s tenants, and luxury residential rental buildings since 1997. Our Concierge can find premium seats at the last minute for just about any event (Shows, Sports, in LA and beyond, we can line up LA’s top caterers to coordinate a business breakfast from 10 or Social Soiree for 1,000 people. Our Concierge can even help you find someone to select that perfect gift for her or him, and have it wrapped and delivered without you ever leaving your office. This is only the tip of the iceberg. We have the resources at our fingertips to assist you with your every need.